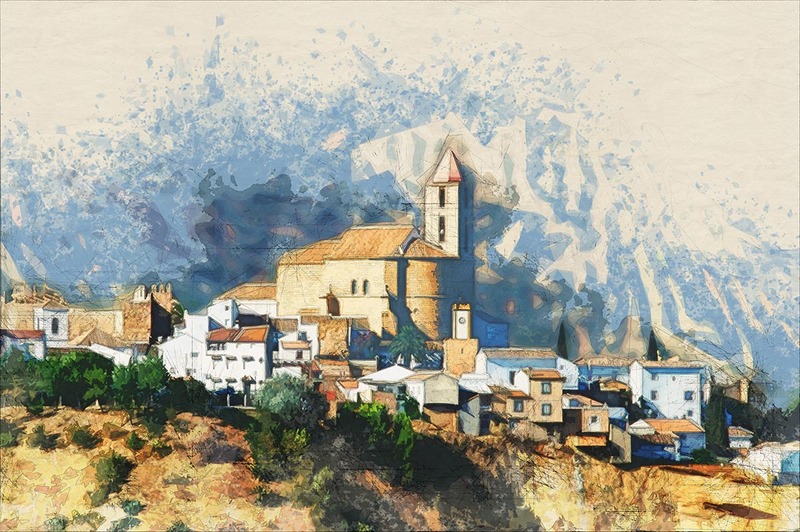 Andalucia has the most favorable climate in Europe for painters. Casa Cruz sits in its own serene valley, with amazing views of the surrounding hills and olive groves. There are an endless opportunities to create your very own masterpiece without leaving the valley. 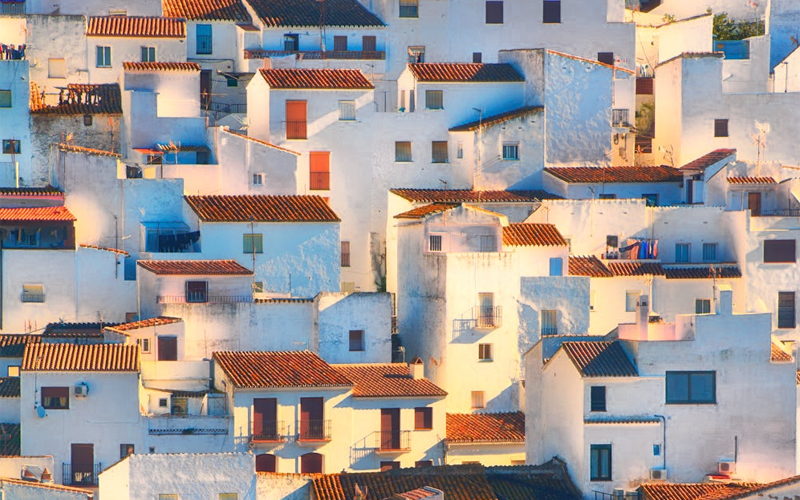 But you may also be inspired by the local villages with their white villas and Lake Iznajar (Andalucia's largest lake). 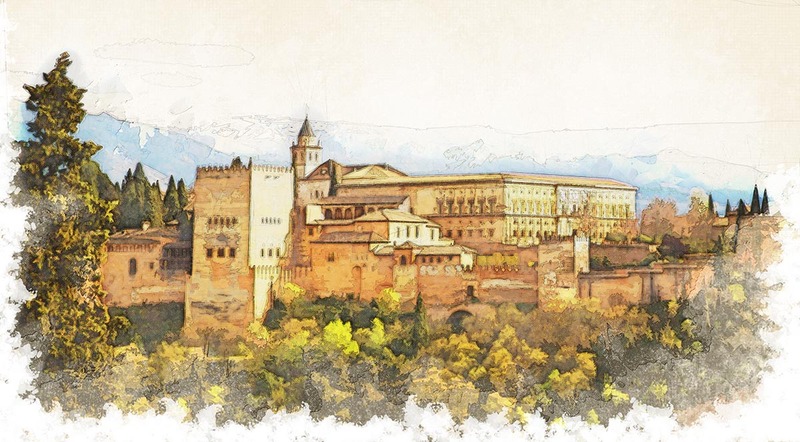 Or you may want to venture further afield to the Andalucian cities of Granada, Ronda and Cordoba which are all within a brush stroke. If you're looking for inspiration from another artist, a 50-minute car ride will take you to Malaga, home of the Picasso Museum. 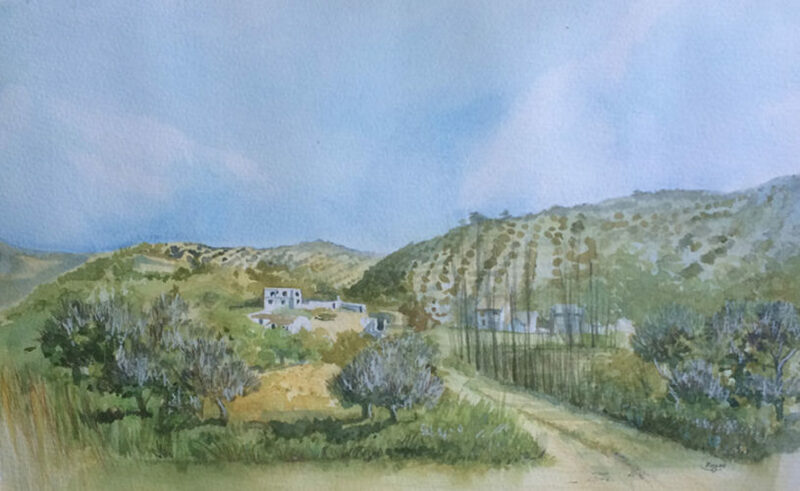 The light in Andalucía is wonderful for watercolor painting. 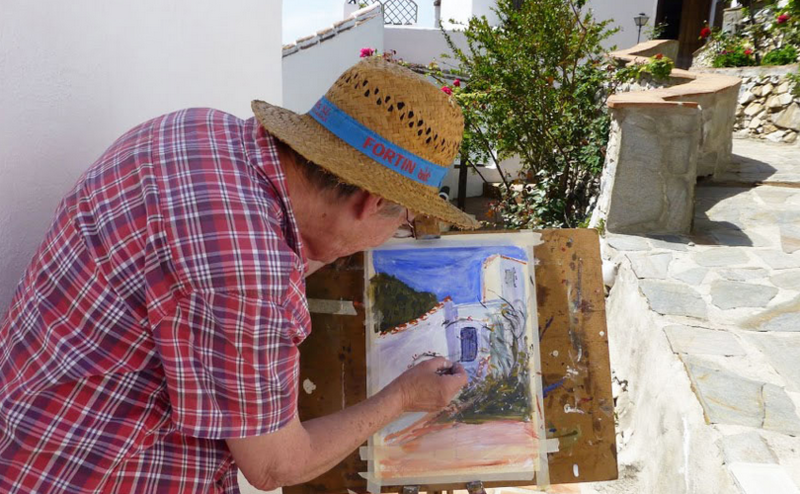 In Mijas, there is a growing art center which has classes in a number of media: watercolor, oils and even sculpture. 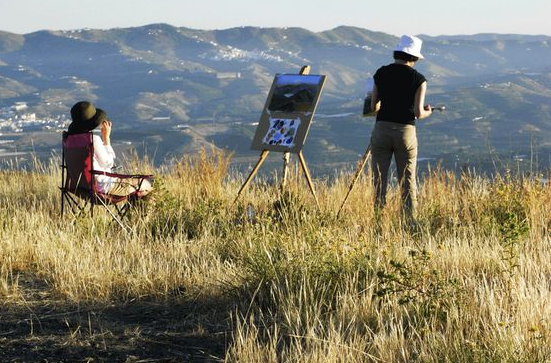 Various other towns offer programs, events and also artists clubs and societies. 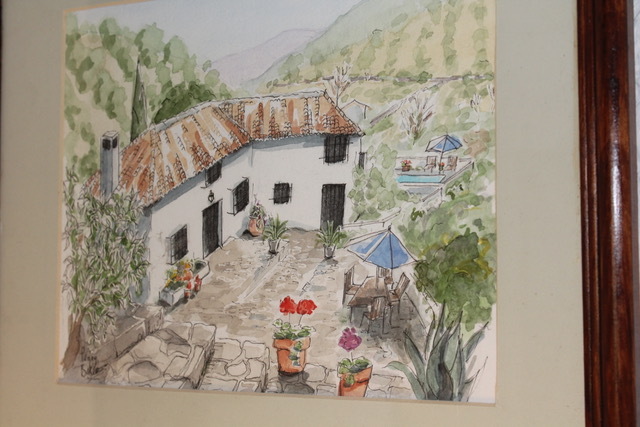 Casa Cruz hopes to offer painting holidays if there is a demand. 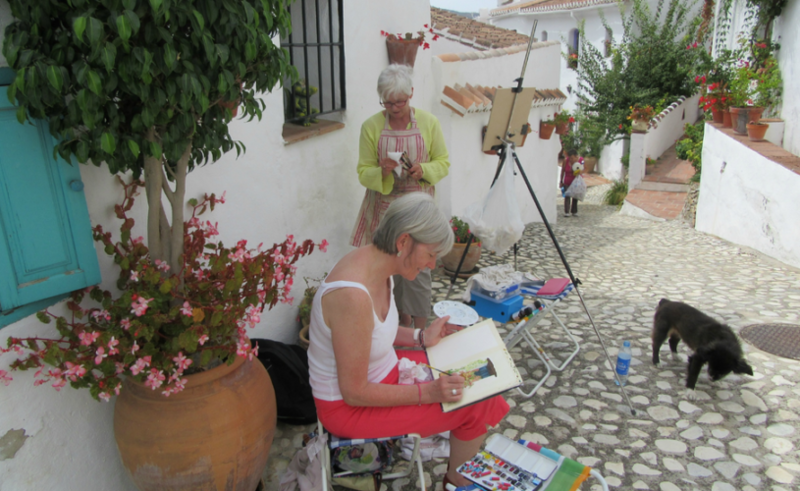 We have an experienced Artist/Tutor who is keen to run week courses if a group is interested. On the right are some of his paintings of the local area. Please contact us for more details.